Favorite of all generations, LEGO bricks is a toy that define a universe of creativity, focus, engineer and entertainment. For those who has visited Lego Theme Parks in Orlando will find a very interested proposal for the all family. If never visited, this time on your next vacation package to Orlando Florida our company Orlando Discount Tickets USA sales you up to two tickets at $29 dollars with 2 free tickets for your kids through our resort preview discount. 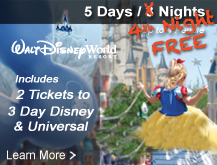 Visit our website www.orlandodiscountticketsusa.com to see additional vacation packages with hotel and tickets for the theme parks. Legoland never behind of the best category of Theme Parks, LEGO has announced for 2018 will be ready a new roller coaster with virtual reality, The Great Lego Race, a new redesign story with Lego figures as Trendsetter, Pharaoh, Surfer Girls, wizard and Pirate captain. What is so amazing about this new ride is that is inspired in how the kids play with Lego at Home and for all of us who have kids that love Lego this is spectacular, in which even adults would love to be an epic Lego experience. The ride includes sounds that prepare the rides for the competition . Legoland Park operated by Merlin Entertainment was built in what is known in Florida like the Cypress Gardens counting with more than 50 rides and attractions that share with other Legoland Parks. In addition to the rides and attractions grouped on 11 sections Legoland Theme Park in Florida counts with a water park that is just next to the park. Miniland: It is Geographical area where you will be delighted for a really good time in all the details of the Lego replicas of famous landmarks, city scenes and skylines. The details are awesome, the replicas includes some special effects, water features, movement and vehicles to add realism. Every has something to do with this the most visited area of the Park. Coaster and Rides: What it is so special about Legoland is that family with little kids wont leave the park disappointed because they didn’t find enough attraction for the little ones. Legoland is special abundant on Rides and coaster designed for little kids. The Parks counts with 4 roller coaster: Coastersaurous, Flying Scholl, Lego Technic and Dragon Coaster. Little Ones Spaces: Even Legoland is a perfect park for the all family its target is for children between 2-12 years with lots of special attraction for them as the Duplo Land which is dedicated for children under 5 years old, Land of Adventure and Lego Kingdom Sections. Do not miss the opportunity to get a great park value in your next visit to Orlando Florida while visiting LEGOLAND Park. Orlando Florida is the place where the better celebrations happens. With a warm weather really enjoyable on the month of October and November makes the perfect time for great party time. October the month of the Halloween has a different approaches being the more friendly once the celebrated at Disney Magic Kingdom and at Seawolrd. If lloking for a family friendly and budget firendly Seawolrd is the answer for the comming Halloween in October 2017. Orlando Discount Tickets USA offers you a great way to participate on a very family oriented and Under the Sea Halloween Celebration where you have either the option of just getting tickets for $29 dollars per person for the first 2 admissions or get a vacation packages that will cover your stay for 4 days and 3 nights starting at $169. And why to choose Seawolrd to spend your Halloween there? Well the reason are based on the possibility of great entertainment for families with colorful reefs, the multi vibrant textures of the different fishes and creatures that lives underwater, trick or trick and great interactive spaces for children and family. Well this 2017 you can schedule your party for your children at the weekends of October, Seawolrd has a great treat for its visitors because just with the general admission will be possible for you and your family enjoy Seawolrd Orlando’s Halloween Spooktacular, a family-friendly event with whimsical pumpkin fishes, sea-theme arts and craft, trick or treat like if family where underwater and off course all of the entertainment that Seawolrd offers to its visitors. Penelope’s Garden Party: because the Halloween at Seawolrd is mainly an underwater Halloween celebration, in this dynamic party different characters come to life with the music of live DJ, the are also animal interaction, bubbles everywhere and space to create different crafts. Spooktacuar Dance Party: Penelope is a princess and one of the the main characters of the Halloween at Seaworld. This represent the closing act of the day and during this party children and under the wáter friends dance together with whimsical bubbles at the Village Square. Waves of Trick-or-Treat Fun: Sesame Street Countdown to Halloween: Along the Sea world Theme park will be Trick-or-treat stations with candies. Sesame Street Countdown to Halloween: It is musical show with Elmo, Abby and the favorites characters of Sesame Street with the purposes of call the spirit of the Halloween. During the song family is invited to dance, play and sing to awake the spirit of this celebration. With Orlando Discount Tickets USA you can start booking your Halloween celebration with vacation packages that starts at $169 dollars and that includes 3 days and 2 nights with 2 admission for Seawolrd by taking one of our promotional tour. 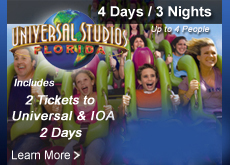 Visit www.orlandodiscountticketsusa.com and enjoy the spirit of the Halloween at a really low cost.